Vehicles with internal combustion engines (ICEs) meet extremely stringent criteria emissions standards but are faced with continued challenges with new US Tier 3 and California LEV III regulations. While there is uncertainty in future US fuel economy standards, continued development and adaptation of technologies for reducing fuel consumption are required worldwide. Accordingly, new engine technologies continue to emerge at a rapid pace, with additional technologies under development. These advances and limits will be discussed and examined in relation to future requirements. How will shifting regulatory policy affect technology adoption and propulsion trends? Many factors are driving change in the automotive propulsion sector. However, change brings great uncertainty. As regulation and industrial policy shift, market forces must be taken into account. This presentation will consider how shifting regulatory policy may alter technology adoption, and how these repercussions may enable or delay advanced propulsion trends. Where will the future of mobility take your business? The convergence of electrification, autonomous capabilities, connectivity and ride sharing will drive OEMs and suppliers to rethink their business models and adopt new strategies to compete in tomorrow’s automotive market. This keynote presentation will explain the impact of disruptive vehicle technologies on the industry, identify how these technologies will change manufacturing strategies, and offer a general framework to address these challenges and compete in the evolving industry. Discuss key technology changes reflected in autonomous adoption, mobility and electrification, with projected timelines for adoption of EV and hybrids. Implications for use of ICEs, hybrids and full electric vehicles would be discussed, especially from the supplier perspective. 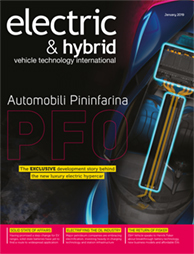 The internal combustion engine is expected to form the basis of passenger car powertrains for the next several decades either as standalone prime mover or, increasingly, in hybrid configurations. To be compliant with global CO2 legislation, passenger car engines must achieve a step change in efficiency beyond 2020. Although peripheral engine and vehicle system technology can contribute to this efficiency gain, the most substantive gains will come from the implementation of advanced combustion modes and mechanisms. This presentation explores currently published advanced combustion system research, with a comparison of the relevant technologies. The automotive industry is facing significant tailwinds resulting from regulatory shifts happening around the world as US, European and Chinese regulatory targets grow increasingly more stringent. Auto makers are adjusting their future platforms from improving the efficiency of internal combustion engines to turning to electrification options. 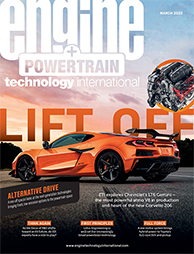 Trends such as increased levels of connectivity and autonomy along with the need for increased powertrain efficiency have created a convergence of solutions to meet auto makers’ requirements. John Kirwan, chief engineer, advanced engineering for Delphi Technologies, will discuss how his company is solving these complex issues for auto makers. ACE (automated, connected and electrified) vehicles are coming much faster than we expected. The E/E-Arch (electrical and electronics architecture) of the vehicle is changing to handle the ever-increasing complexity and advanced functions. The Bosch VCU (Vehicle Control Unit) enables the development of future technologies. The VCU offers one scalable electric/electronic (E/E) architecture, designed to handle electrified and other powertrain topologies, which in turn contribute toward cleaner and more energy-efficient vehicles of the future. The purpose of this presentation is to explore the political, economic, social and technology concerns over the use of rare earth magnets as part of electric drive systems for new-energy vehicles. Rare earths are a series of chemical elements found in the Earth’s crust that are vital to many modern technologies, including consumer electronics, computers and networks, communications, clean energy, advanced transportation, healthcare, environmental mitigation, national defense and many others. Because of their unique magnetic, luminescent and electrochemical properties, these elements help make many technologies perform with reduced weight, emissions and energy consumption. Manufacturers face a challenge of meeting future emissions and fuel economy standards in a cost-effective manner. The practical and cost-effective solution to this problem is the opposed-piston engine. The modern opposed-piston (OP) engine has the potential to deliver ultra-low criteria pollutant emissions while simultaneously reducing fuel consumption by up to 30% compared with conventional engines. Tula’s Dynamic Skip Fire (DSF) uses proprietary control algorithms to help make engines smarter. By continuously controlling each cylinder’s deactivation, engines can deliver requested torque with optimal combustion efficiency, decreasing fuel consumption by 7-15%. Various implementations of DSF will be discussed, including DSF combined with electrification (eDSF), Miller-cycle engines (mDSF) and diesel engines (dDSF).